सतत् स्मरणीय है कि साक्षात् माताएं हमारी सम्माननीय हैं; क्योंकि ‘मातृत्व’ मानवीय गुणों में सर्वोपरि है। रचना करना तथा पालन करना – प्रत्येक मनुष्य का धर्म कर्म होना चाहिए, तभी सामजिक संतुलन बना रह सकता है। जब हम मातृ-दिवस मनाये तो ये याद रखें कि यह अपने दायित्वों को वहन करने की शिक्षा देने वाला दिन है। यह रचनाधर्मिता का दिन है या फिर रचनाधर्मिता के अभिनंदन का दिन! शंका – वेद है क्या? समाधान – क्या सब कुछ मनुष्यकृत होना जरुरी है? समाधान – तो सब वाक्य मनुष्यकृत होना जरुरी है? समाधान -क्या कोई मनुष्य बिना किसी का वाक्य सुने, वाक्योच्चारण करते देखा गया है? शंका – उपदेश ग्रहण करने की योग्यता वा पात्रता क्या है? शंका – कहाँ से आयेगा ऐसा शिष्य? वह क्या है जो स्त्री के पास विशेष है? क्या में इस बहुमूल्य योग्यता को पहिचानती हूँ? क्या मैं इसका सही मूल्य कर पा रही हूँ? इसे संजोए रखने के लिए कुछ त्याग करने को भी तैयार हूँ? 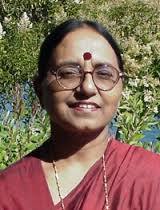 – Mrs. Suvrata Vinod, Anandavan Bhakta Samudaya, Institute of Advanced Studies in Veda and Science. The religion that has come to be known as Hinduism is certainly the oldest and the most varied of all the great religions of the world. Hinduism calls itself the Sanatana Dharma, the eternal faith, because it is based not upon the teachings of a single preceptor, or on any one text but on the collective wisdom and inspiration of great seers and sages from the very dawn of Indian civilization. A variety of beliefs, customs, rites and philosophies have merged here from time to time. According to Hindu thought, Dharma is the first of the four goals because it is the most comprehensive and is valid throughout the life of a human being. It implies not only the religious and philosophical framework but a total world-view, including the scheme of right conduct under various circumstances. Hinduism seeks to look after the welfare of the entire humanity. Peace and non-violence are the virtues broadly accepted in Hinduism in the ancient texts and practice. In Sanskrit the term shanti is used for peace. The word’s literary meaning is peaceful, non-violent, calm or undisturbed. It denotes abstention from mental and physical violence and disturbances. It is a virtue under which some sentiment is to be removed from the mind instead of generating some sentiment in the mind. It is to bring the refusal of violent feelings from mind and violent activities from the life. The principles of peace are described variously in Hinduism. The Vedic rishis were spiritualists. They instructed a philosophy of non-difference of self and others. Hindu religion believes in the existence of God (Ishvar) everywhere, as an all-pervasive, self-effulgent energy and consciousness. This basic belief creates the attitude of sublime tolerance and acceptance toward others. All living beings are same and are from the same God so there should be a sense of equality and one should not harm or hurt others. For a peaceful coexistence, the Vedas visualize the key principles of synthesis and balance. The concept of shanti is established on these principles. Peace as a highest human value is interlinked with other values such as with truth, nonviolence, purity, friendliness, forgiveness, tolerance, and. Peaceful attitude is regarded the foundation of all morality. Shri Krishna became Shantiduta i.e. messenger of peace in Mahabharata to teach the lesson of peace to the enemy, but finally supported Arjun to fight against the wicked enemy. So shanti can exist with the absence of non-violence too. In fact peace is to be performed on three levels – mind, speech, and action (manasa, vaca, karmana). Collective peace or wellbeing does not refer only to humanity, because animals and plants also come under its vision. It goes even further and stresses the well-being of all in the famous Shanti-Mantra of Yajurveda (36.17). Accordingly, shanti is a state of equilibrium which is needed for the proper existence of all and everyone in this universe.